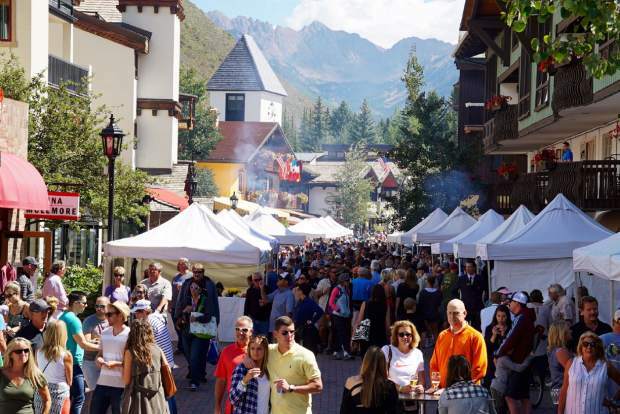 Gourmet on Gore takes place over Labor Day Weekend and is an open-air tasting of wine, beer and spirits along with food from Vail's top restaurants. There’s a lot on the schedule between now and Vail’s 2018-19 Opening Day of the ski season. From the farmers markets to the Oktoberfests and all of the other returning events, the valley’s summer schedule continues to keep people entertained before the snow starts to fall. Get some local goods and produce at summer farmers markets across the valley. Vail’s is Sundays, June 17 through Sept. 30, on East Meadow Drive. Minturn has its markets on Saturdays, June 16 through Sept. 8. Edwards Corner also has a market on Saturdays during the summer. Avon and Gypsum are also in the farmers market scene. More information: Follow the farmers markets on Facebook. Man of The Cliff is the 10th annual nonprofit event comprised of outdoor, rugged activities that are modified to fit all strength and ability levels, male and female. Historically held in Red Cliff, this year’s event will take place at Nottingham Lake in Avon on Oct. 13-14, with 100 percent of all funds raised benefiting local charity First Descents. Events include ax throw, hammer toss, archery, keg toss and more. Festival tenure: 10th annual event. More information: Visit http://www.manofthe cliff.com. The best thing about Oktoberfest in the Vail Valley is that it starts in September. Oktoberfest celebrations are spaced out up through October, making more opportunities to get in on the Bavarian fun. There’s usually some stein-holding competitions, keg bowling and more. Don’t forget your dirndl. On Thursday, Sept. 13, the Gerald R. Ford Amphitheater will host 311, a rock band active since the late eighties, to close out its inaugural Whistle Pig Vail series. 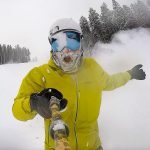 More information: Visit http://www.whistle pigvail.com. The Zoppe Family Circus welcomes guests into the intimate 500-seat tent for a one-ring circus that honors the best history of the Old World Italian tradition. Starring Nino the clown, the circus is propelled by a story (as opposed to individual acts) that features acrobatics, equestrian showmanship, cainine capers, clowning and plenty of audience participation. The circus returns to Avon Sept. 7-9. Series tenure: The Zoppe Italian Family Circus has been performing since 1842, but returns to Avon for its second year.